After 11 years of operating Infinite Web Designs from her home, Amy DeLardi is opening up an office, and creating new opportunities for her clients. This month Amy DeLardi along with Doris Ingber from Kismet Feng Shui moved into their new office in downtown Fairfield. 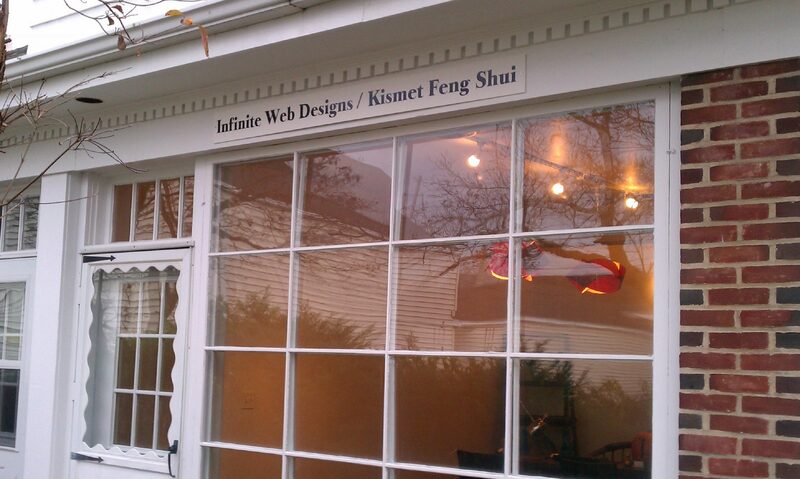 With Doris’ Feng Shui interior design, Infinite Web Designs is ready to host workshops, networking events, and provide a new business consulting service to clients. This has been a dream of Amy’s since she first established Infinite Web Designs in 1999. “To succeed at anything, you need to imagine yourself in the place you want to be so that you have something to work towards.” This philosophy is what Amy teaches her clients no matter where they are on their business journey. “I’m very excited. Now that I have my new office space, it’s going to provide an environment where I can continue to educate people about the upcoming trends in technology and online marketing to help business owners succeed,” said Amy, who is quickly becoming an Internet guru in town. With 11 years of experience under my belt of owning and operating my own small business; it is now time for me to pass on my expertise to others. I will work with clients one-on-one helping them through each step of starting or growing a business. “I love to help people, and I’m a firm believer in educating my clients throughout their experience working with me,” says Amy. She will be counseling people to achieve their business goals and give them insight into what works (and doesn’t) in the local area. To learn more about Amy’s consulting services, please visit our business consulting services page. Starting this month, Amy will be opening up her new office space to individuals looking to do their own media marketing. The workshops will cover social media, search engine optimization (SEO), effective web design and the latest trends of the Internet. It is your chance to get the skills to help out your own business. Sign up to get the latest news about upcoming workshops! With the new Infinite Web Designs’ office space, we will now be able to host many more networking events for Infinite Mind Share. An Infinite Mind Share is a free-to-the-public monthly networking group where you can meet face-to-face with the people you meet through social media. There are always prize drawings and lots of fun. See when the next Infinite Mind Share event will be.